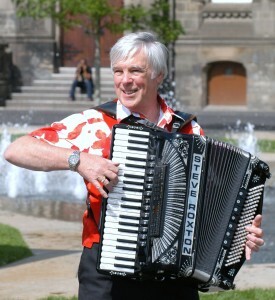 I can offer one to one tuition on piano accordion. I am located in the North-East of England. I am equally happy to offer tuition to complete beginners or to accomplished players wishing to take themselves to a new level. My fees are very reasonable and I have a proven record with teaching people of all ages and abilities. Use the contact tab on the home page to tell me of your requirements.